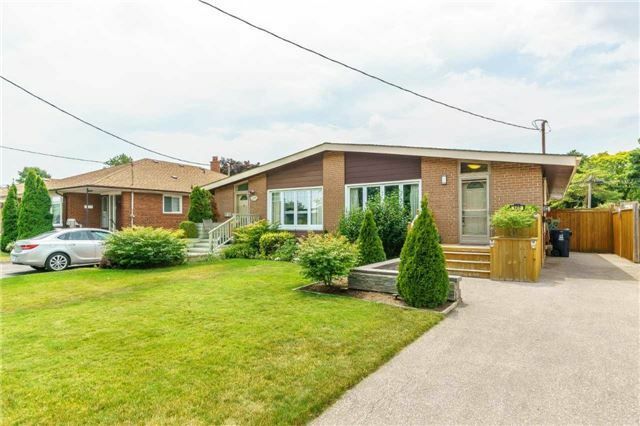 Located In A Great Family Neighbourhood This Absolute Stunning Updated Semi-Detached Brick Bungalow Has Been Lovingly Maintained By The Same Family For Over 50 Years. Main Floor Offers 3 Bedrooms With Large Living/Dining Room Combo And Brand New Hardwood Flooring. Beautiful Updated Eat-In Kitchen & 4 Pc Bath. Separate Entry To Bsmt Apartment With Bdrm, Office, Eat In Kit, Lrg Fam Rm (W/ Custom Bar) & 4 Pc Bath. Easy Access To Hwy 401/404/Dvp.